We are in the midst of Summer, just incase you needed a reminder, and I am feeling all kinds of warm inspiration from the colors of this season. I am a lover of all things that add bright and cheerful vibes – especially in the home. 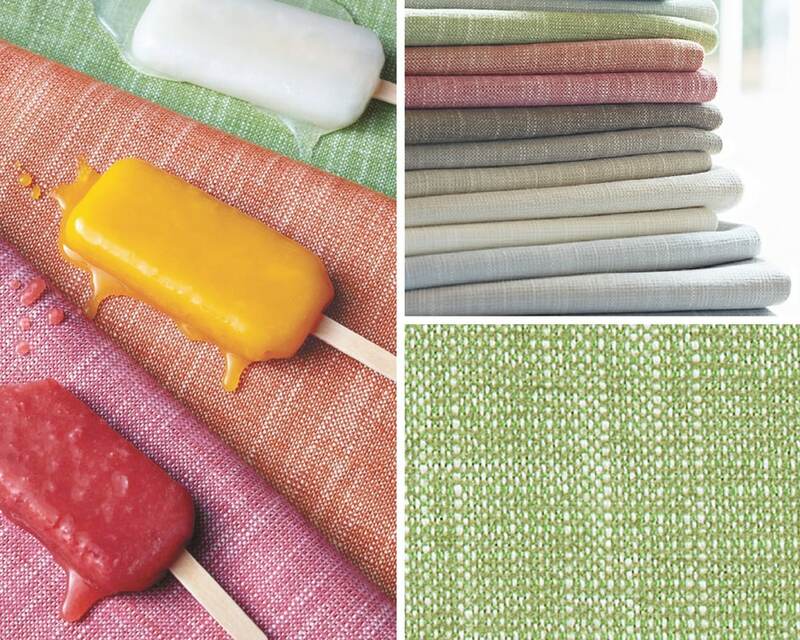 From fabrics to furnishings, color is the key to setting the mood in a space. So, what’s hot on my list this Summer? Woven fabrics that last! Thibaut’s gorgeous Mosaic collection features Crypton Home fabrics that meet or exceed heavy-duty requirements for indoor upholstery, with “sumptuous color and a luxurious feel.” The Bailey pattern is my particular favorite! No two colors describe Summer better than the combination of blue and green. 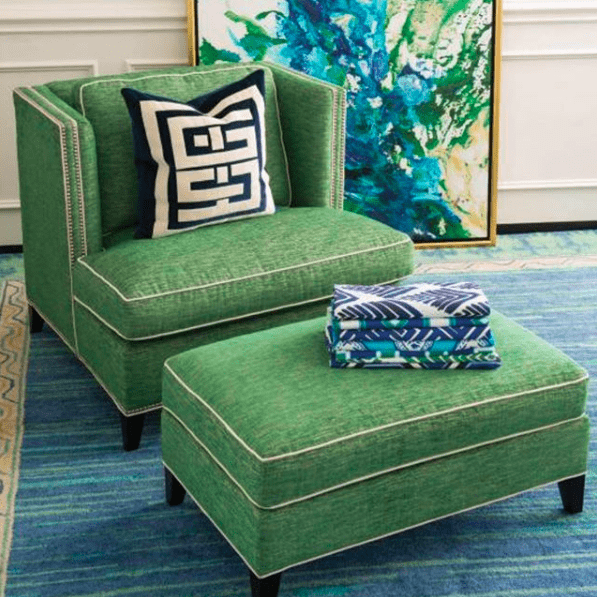 IBB Design Fine Furnishings chose a delightful green shade to cover the Jill Chair from CR Laine. The most natural of Summer colors? Nature’s very own, green. 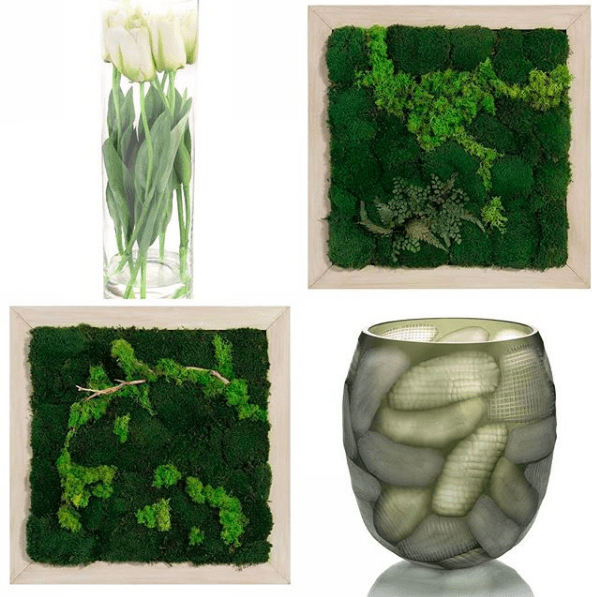 Bringing greenery indoors is the perfect way to add some effortless color. Designer tip: Faux is so acceptable these days, with thanks to companies like John Richard with their gorgeous botanical collections. No one does faux greenery quite like them! Yellow. Of course, this one is just a no brainer when it comes to Summer color musing. It is bright, fresh and all things in between. Yellow is such a pop of a color, that a bold piece of art is just the right amount of pop. I love how Courtney Hill Fertitta of Courtney Hill Interiors incorporated this piece of art to create an amazing focal point in this transitional dining space.